By Charnita Fance in Mobile. Updated on November 10, 2017 . 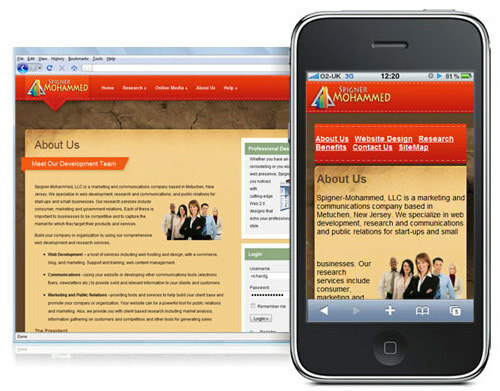 Do you have a mobile friendly version of your website or blog? With mobile devices now driving nearly 7 percent of Web traffic (according to CNET), it’s now more important than ever before to make sure you have a mobile optimized version of your blog for those devices. People who use their mobile phones, smartphones, and tablets to access the Web are usually in a hurry and don’t have time to wait. If they have to wait for the desktop version of your site to load and attempt to render properly, they’ll more than likely grow impatient and end up leaving your altogether site before it even loads. Plus, let’s face it, desktop versions of blogs and websites just do not function properly on mobile devices – no matter how smart they are! So this list will take a look at numerous tools that will help you mobilize your blog (or website) and create a mobile friendly version. 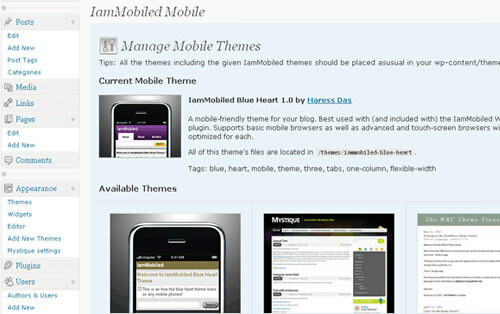 Whether you’re looking to design your own mobile site or want to simply redirect to the mobile default version of WordPress, there is sure to be a tool listed below that can help. 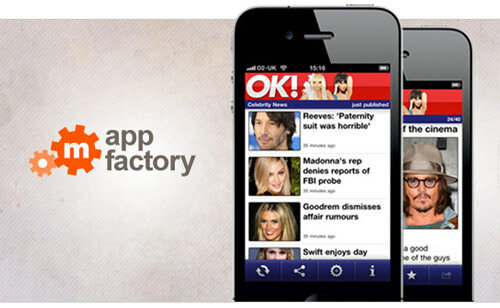 App Factory lets you create a mobile app for any platform: iPhone, Android, and Windows Phone 7. It’s HTML5 enabled, yet there is no coding required to create your app. 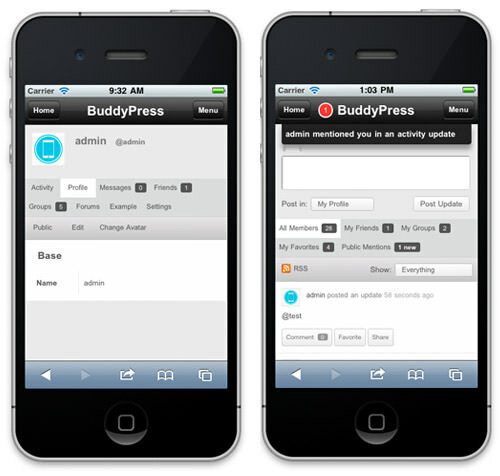 The service prides itself on consistency and making sure your app works across every platform. You can fully customize your app with your logo, colors, etc. 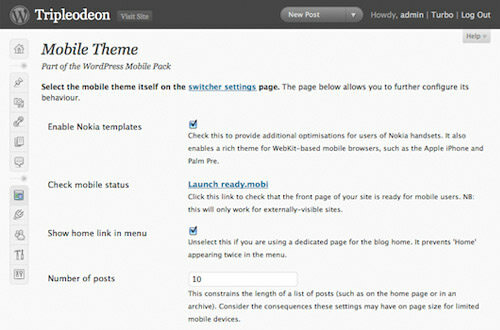 Along with your blog, you can also create an app based around your Twitter, Flickr, YouTube accounts, and more. 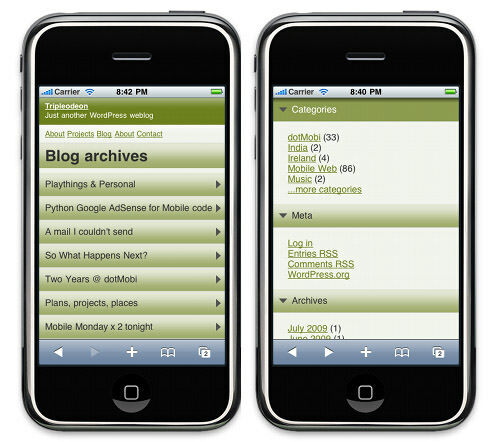 Wirenode is a mobile website creator that supports mobile widgets (i.e. Twitter, RSS), polls and forms, Google maps, statistics/analytics, wallpapers, and QR codes. 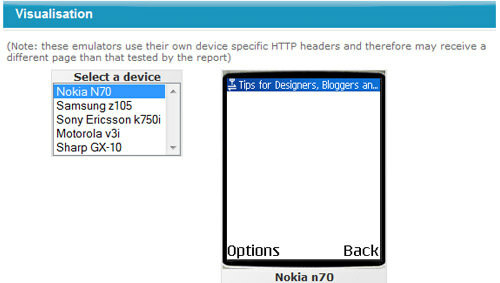 You’ll get to preview your site in a phone emulator so that you can see exactly how it will look to your mobile users. 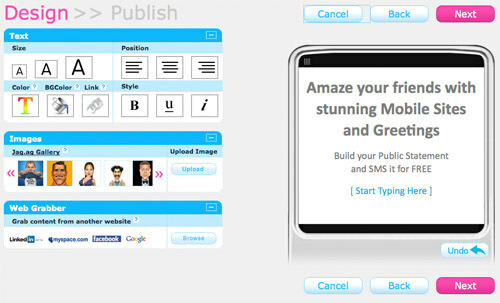 It also has a WYSIWYG editor and gives you the ability to create galleries – which is great for mobile portfolios. 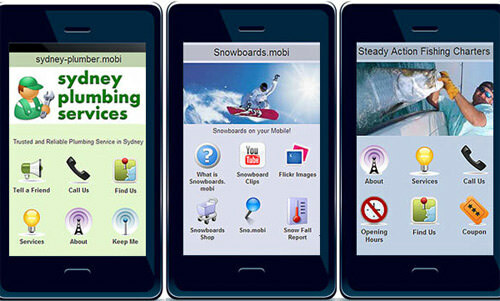 Zinadoo lets you go mobile in minutes with an unlimited number of pages on your mobile site. One of their unique features is the ability to import your contact list from Plaxo. You can then use Zinadoo’s internal messaging system to send emails to your contacts right from your mobile phone. 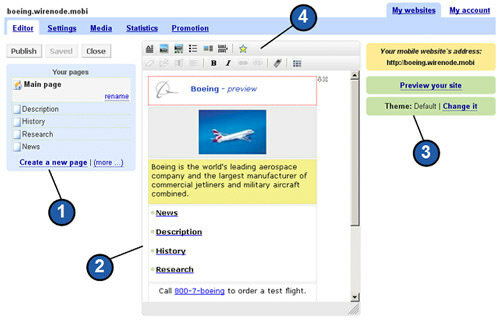 Other features include: web widgets, site optimization, mobile search, and mobile videos. 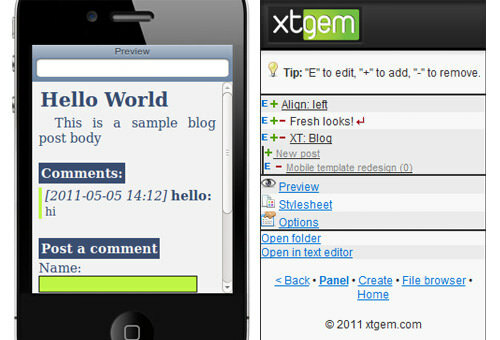 XtGem is a visual mobile website builder and WAP creator. It gives you an unlimited amount of disk space and bandwidth. 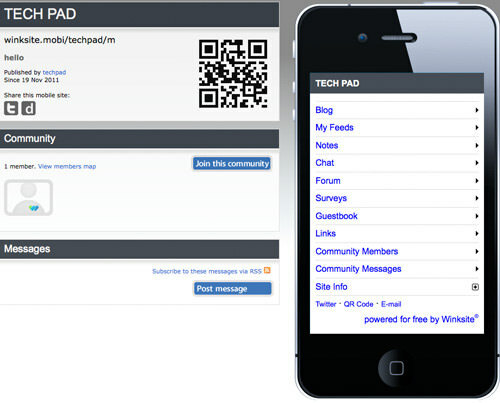 You can update your site via the website or on-the-go via your mobile device. You will have ads on your site, that XtGem uses to for revenue, however they are unique and don’t look like your regular everyday ads. 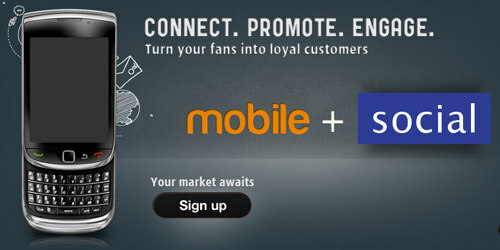 Most of their new and upcoming features can be read about in their blog. mobiReady isn’t a tool to mobilize your site, instead it’s a tool to let you test the mobile-readiness of your website using the industry’s best practices and standards. 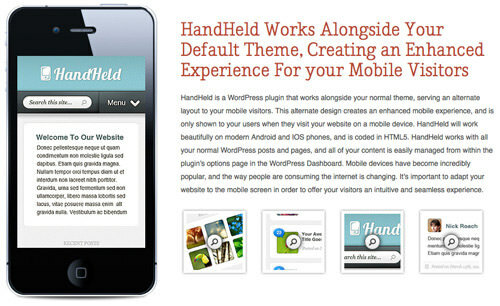 This way you can see how your website is likely to function on a mobile device. All you have to do is enter your URL on the homepage and you’ll get a full-page or results with visualizations, a test summary, compliance tests, page markup, HTTP response headers and more.